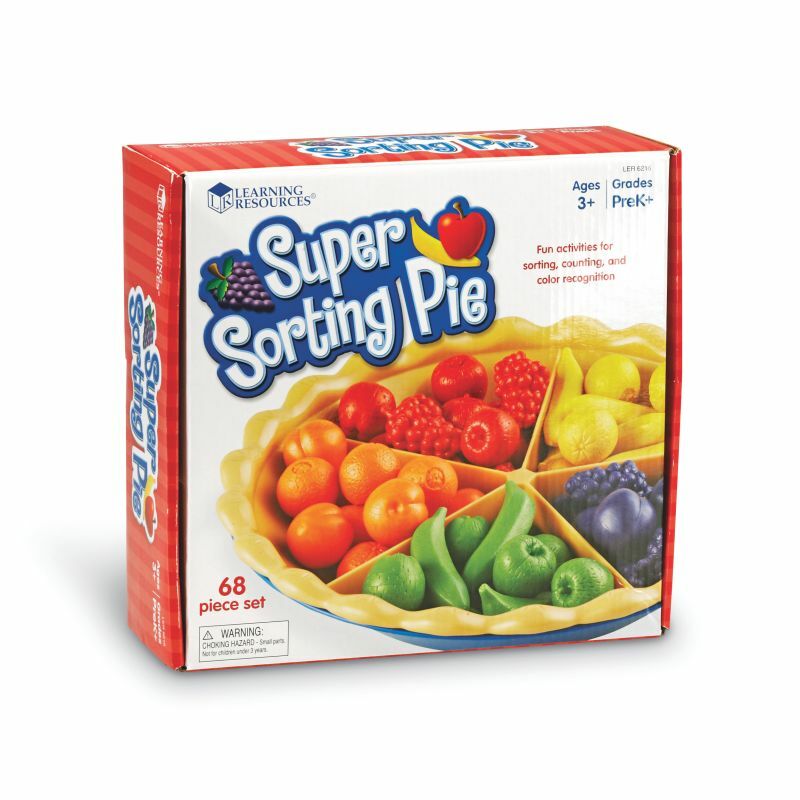 Fruity pie teaches early number skills and attributes (colors and fruit shapes). 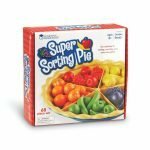 Place the sorting cards into the bottom of the pan to provide visual cues that support student success. Top crust becomes a bowl to conveniently hold counters. Jumbo tweezers reinforce fine motor skills. 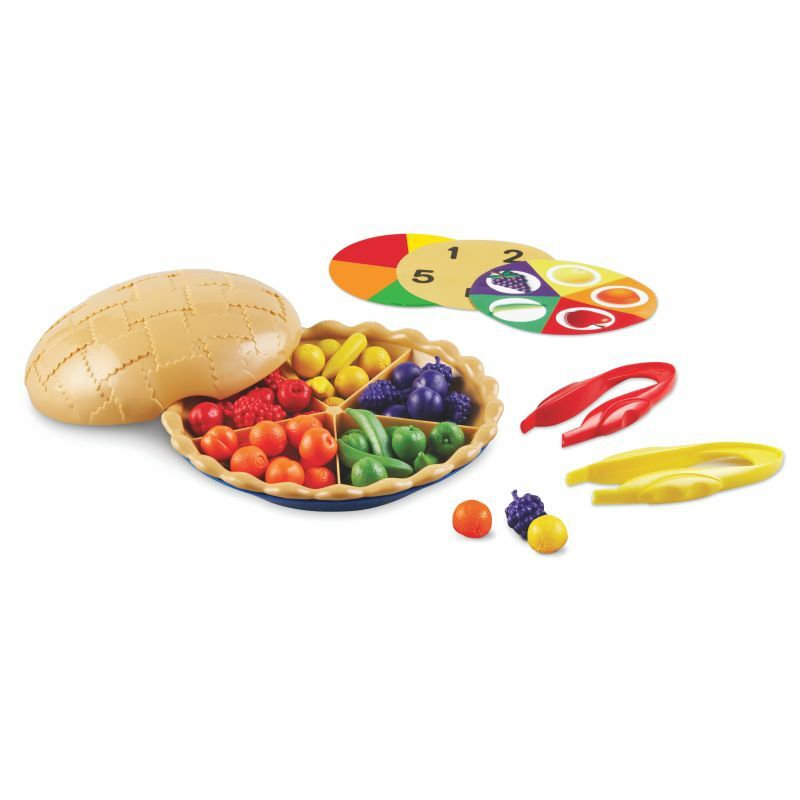 Includes 60 counters (7 fruits in 5 different colors), durable plastic pie (8¾” in diameter), removable divider, 3 double-sided sorting cards, 2 jumbo tweezers, and Activity Guide.